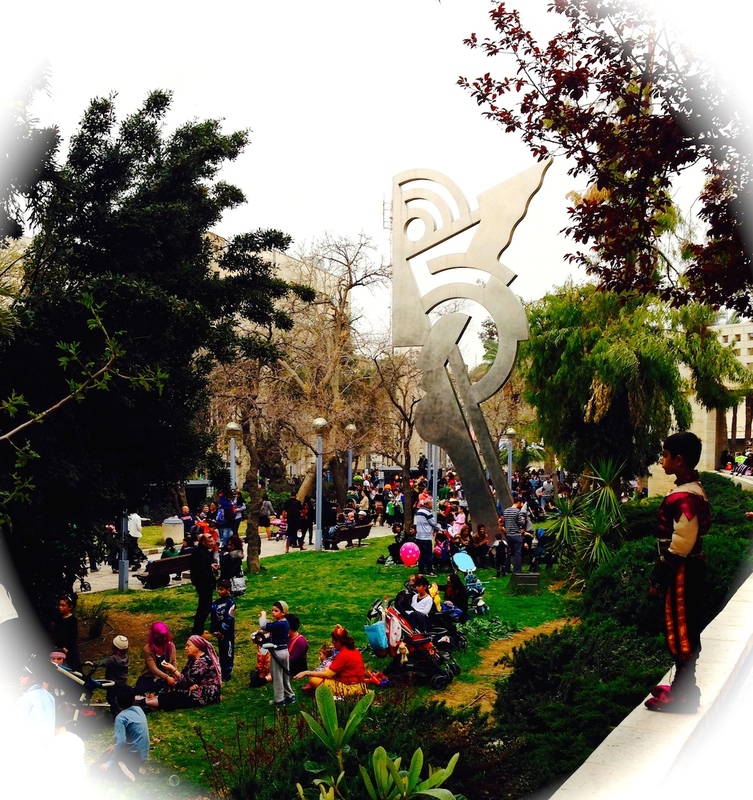 Every Purim the City of Jerusalem hosts a celebration in the Safra Square Park at the municipal building complex on Jaffa Road. 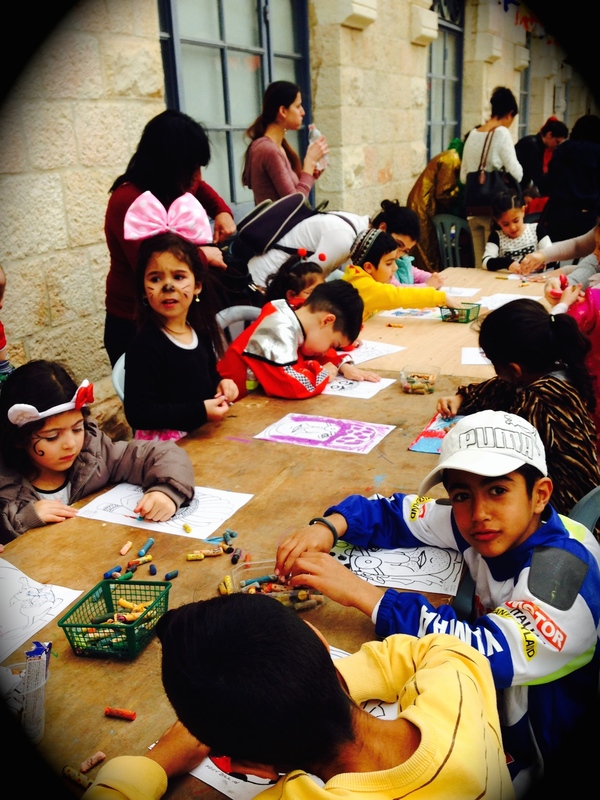 At the time of Mordechai and Esther, “walled cities,” such as Susa the capital of Persia, had an extra day of celebration (see Esther 9:18), so Jerusalem is one big party on the second day of Purim. 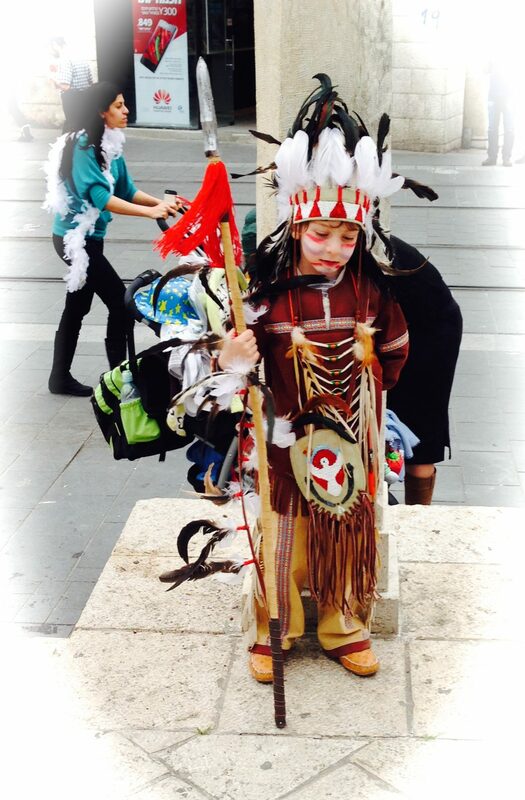 Kids, families, costumes, music, parties everywhere! I took these pictures during the party of March, 2014 – Adar B 5774. At the time folks were voting for their favorite pics. Enjoy! 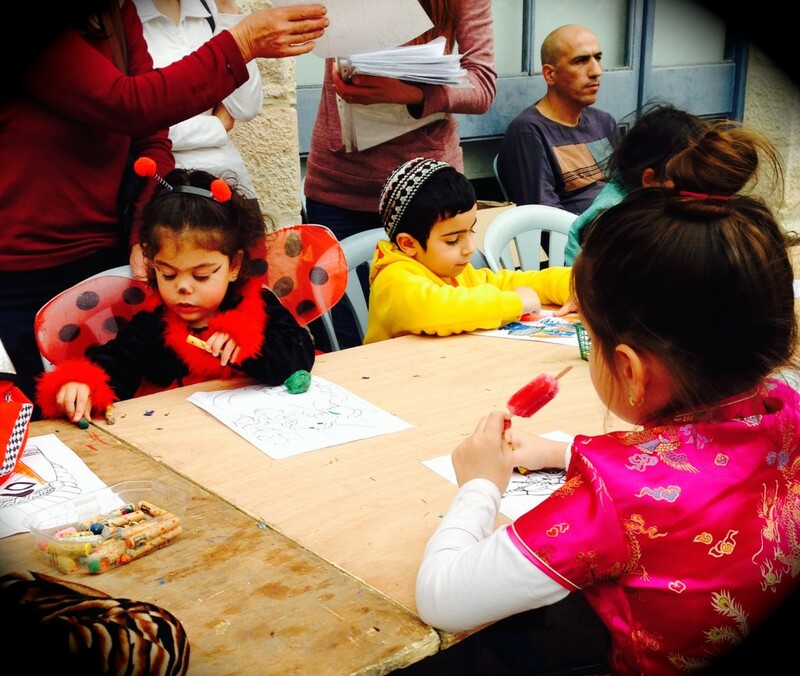 Make your choices from the Purim pictures and place your 5 votes in the Comments box below. For example: A – 3 ; B – 12 ; C – 18 etc. 5. Where’s Ima?! He took my crayon! 7. Zebra and Ninja ~ brothers! 10. 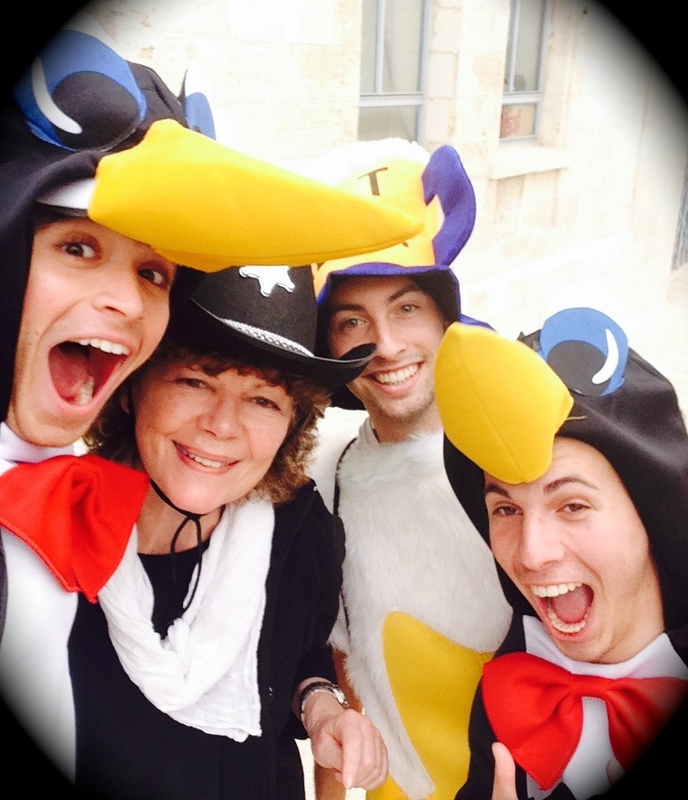 Keren and Penguins or PingGwins in Hebrew – Happily no ice in sight! 11. Time out for coloring in. Mmm… I’ll just enjoy my ice-lolly. 20. That’s all folks…I’m exhausted! 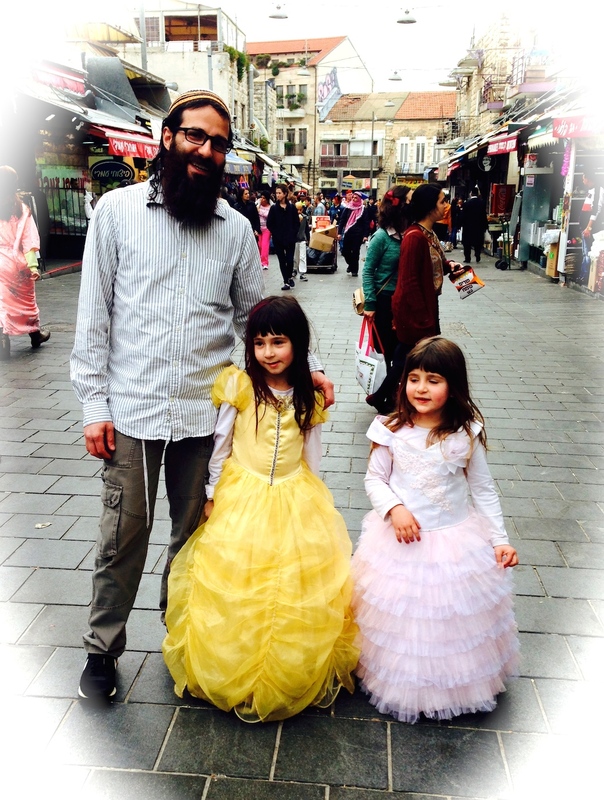 Shalom and Lehit’ra’ot – till next time! This entry was posted in Israel Related by Keren Hannah. Bookmark the permalink. lovely pics! Sorry I haven’t time to put them in order. No problem Pauline! Thanks for taking a look. Hard to pic the best as they are all so wonderful but will give it a go. BEST QUEEN ESTHER – 6 – those two are adorable! BEST GIRL PIC -12 – wow – young lady (and mom maybe?) worked hard on her outfit! So much detail! Of course the little lady bug coloring is sooooo precious. BEST BOY PIC – 7 – such joy-filled smiles on those two brothers! Thank you for your comments – Cindy, you’re amazing! 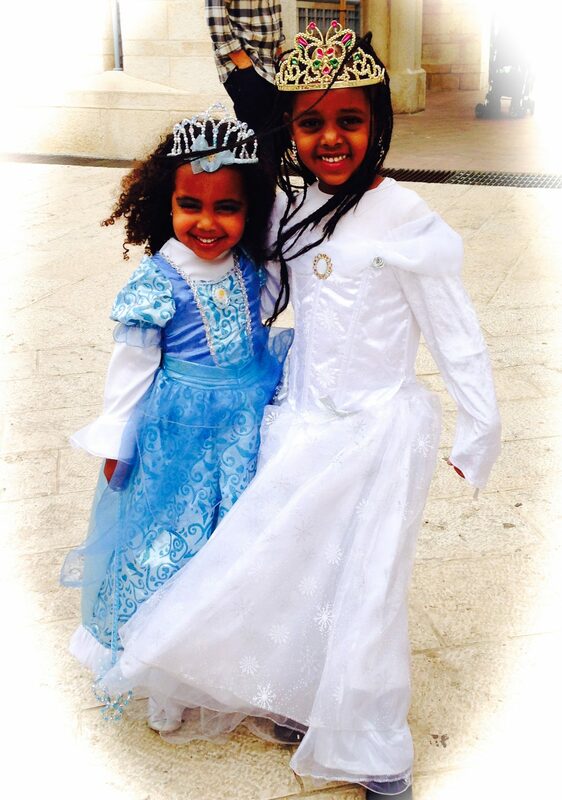 Love all the Purim photo’s Keren, looks like a wonderful party in Jerusalem. 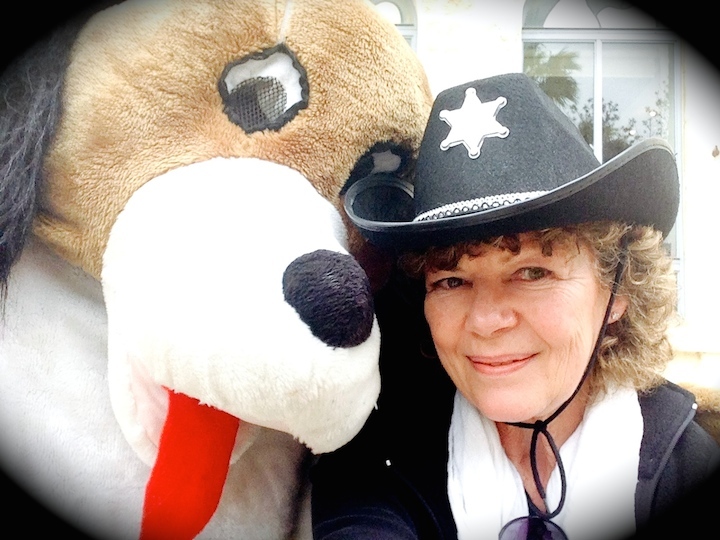 Love the pics of you as The Sheriff! Wow what lovely photos, Israel really was rejoicing. It was great to see that the UK was represented as this is where I live. Looks like you all had a fantastic time. Love and blessings. Thanks Gilly, it was great! Good choices Della, thanks for joining in! All the pictures were great…..it is too hard to pick favorites. They are all just wonderful!!!! Thanks for sharing! It was also great to see a picture of you (2 of you!). You are beautiful! 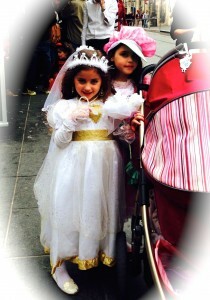 Not only is this my first viewing of you but also my first time viewing pictures of Purim. What a celebration! Thanks Jan and Irene ~ it was special! 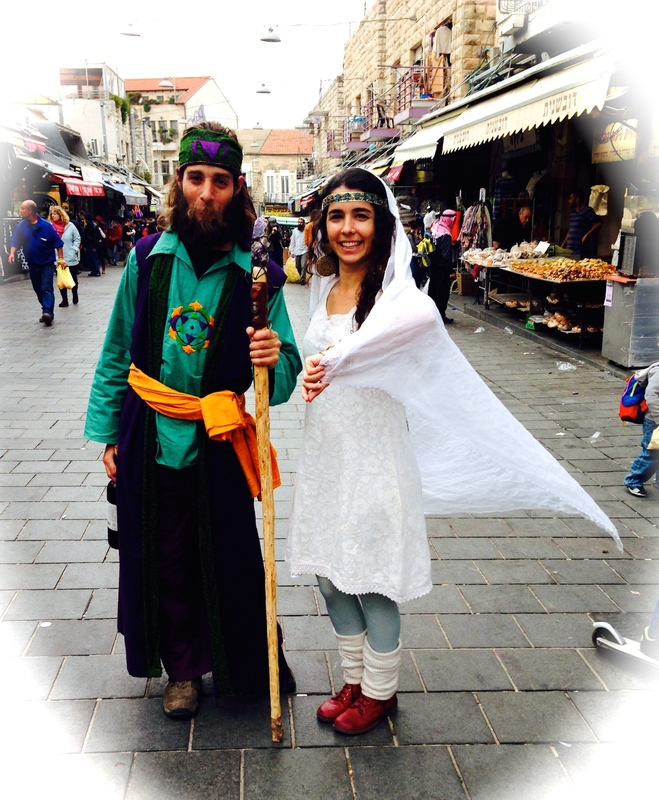 Love the photo of Mordechai & Esther! Shalom Blessings. Layna from Vancouver, Canada. Hi Layna! Thanks for your comment. Shalom Shalom to you from Jerusalem. 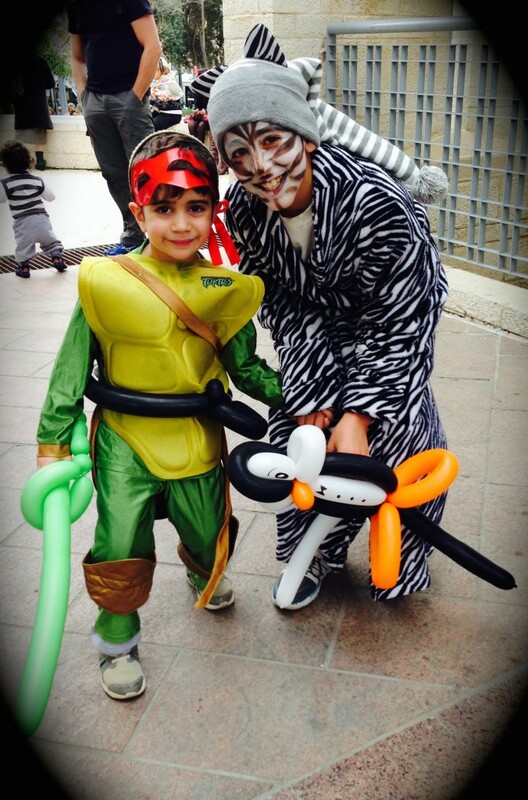 Looks like kids and grownups have fun in Jerusalem at Purim!